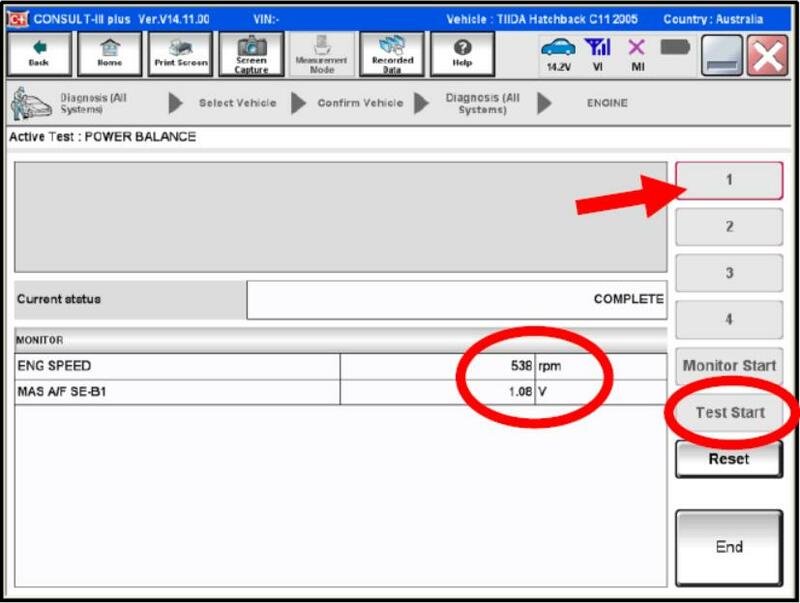 This article show a guide on how to use Nissan Consult 3 Plus to active engine power balance test.Hope it helps,and if you want to know more about Nissan Consult 3 Plus,check:Nissan Consult 3 Plus Projects. 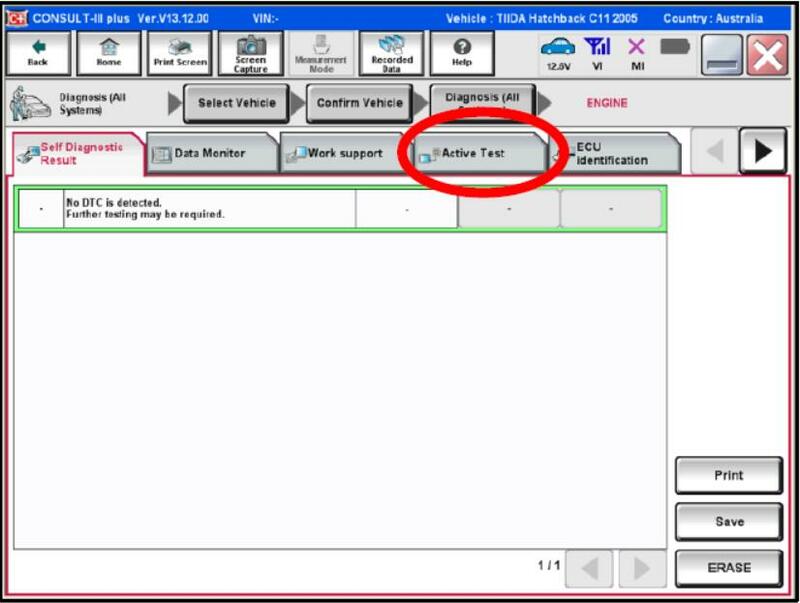 Connect Nissan Consult 3 Plus to vehicle,then run software. 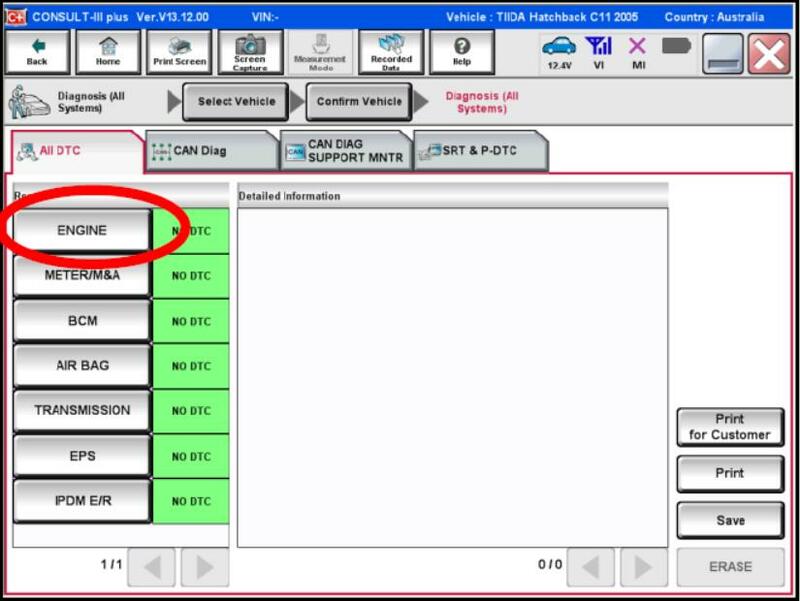 1.Conducting Active Test:From the “All DTC” screen, select the system you need to test.-In this example we will be looking at the Engine ECU. 2.From the “Self Diagnosis Results” screen, select the “Active Test”tab. 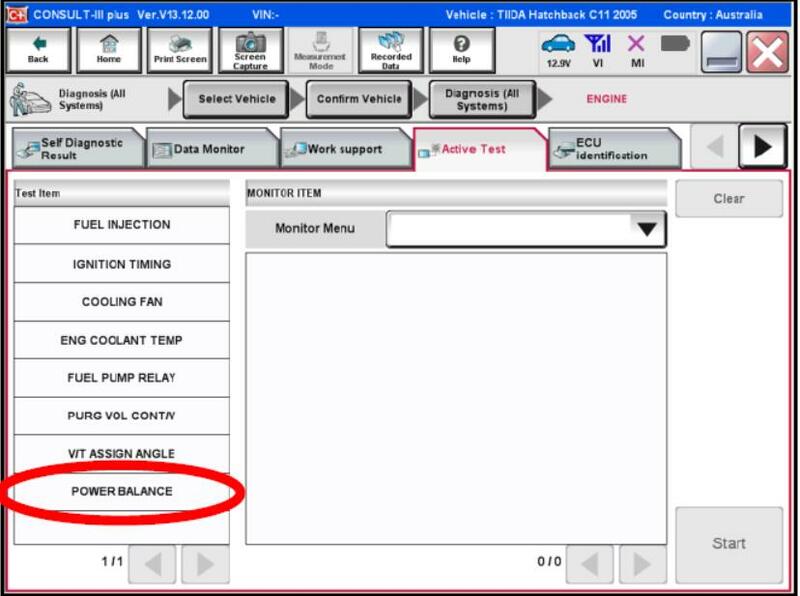 3.Select the item that requires the test.In this scenario, a “POWER BALANCE” test is being performed to determine which cylinder on the engine is not firing or which cylinder has the weakest performance. 4.Numerous inputs can be checked whilst the test is being carried out. In the case of performing a cylinder Balance test, the technician will need to monitor air flow quantity & engine RPM. Select the desired items & then click “Start”. 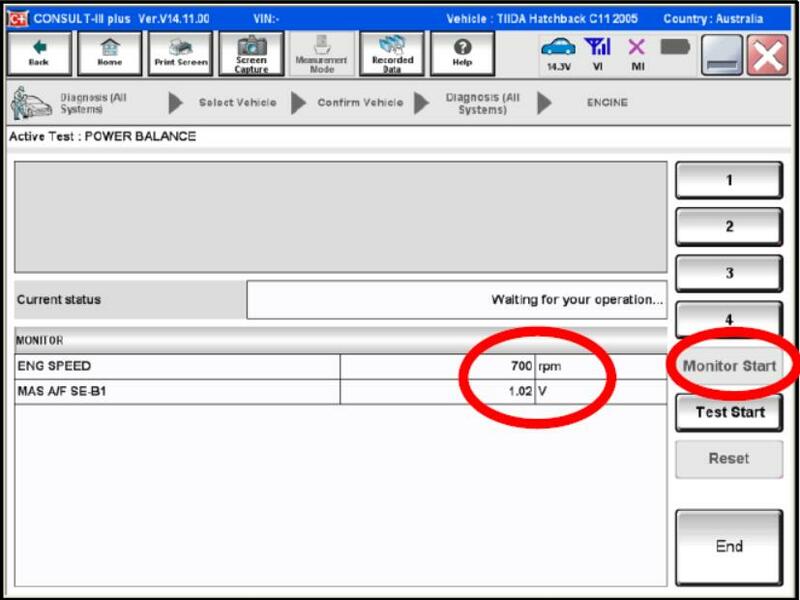 5.Select “Monitor Start”and current engine operating values will be displayed. 6.Select the cylinder to test (arrowed) and then click on “Test Start”. Current engine operating values are now displayed (circled). Record this data and then click on “Reset” to select another cylinder.